Home » Maxxis Rekon Tire (29"), EXO Casing, 3C Maxx Terra. 2.6"
Maxxis Rekon Tire (29"), EXO Casing, 3C Maxx Terra. 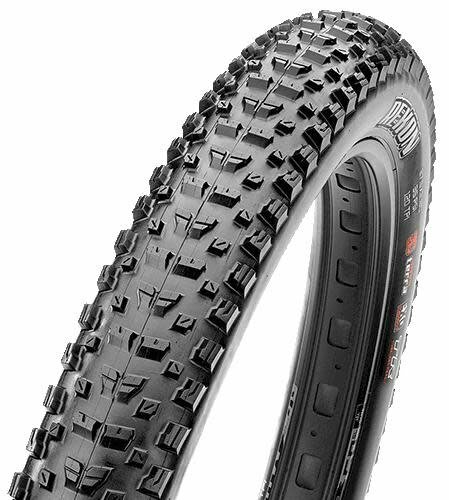 2.6"
The Rekon is an aggressive trail tire inspired by the popular Ikon for intermediate and technical terrain. Wide knobs down the middle provide control under braking and L-shaped side knobs assure support when carving loose turns. The dual and 3C compound provides a perfect blend speed, traction, and durability, while tubeless ready construction allows for easy tubeless set up with your favorite sealant. With confidence like this you can ride more and scout less with the Rekon.